I love hearing the phrase “April Showers Bring May Flowers” every spring season because it just means nicer weather is on the way. However, I’m not sure what to believe anymore because this weather has been so crazy. After all the snow we’ve experienced we’re now starting to get the rain, and with rain come rainbows! But again, who knows what will happen, so we might as well whip up some rainbow patterns to help brighten our spring. After all, spring fever can hit pretty hard, so let’s pick out some brightly colored skeins of yarn and have at it. Rainbow Dragon Bag This is a very popular crochet pattern with our readers. 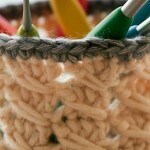 The crocodile stitch is used making this a one of a kind design that can hold a variety of items. Rainbow Spiral Scarf Kids and adults, alike will love sporting this rainbow pattern. The ends of the scarf are super fun with the tight spirals. 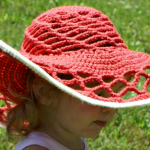 Rainbow Crochet Hat This crochet hat pattern is great for beginners to work up. This particular hat was made for a baby, but can be adjusted to fit just about anyone. Colorful Crochet Clutch Don’t get caught without this beautiful rainbow pattern. It’s the perfect stashbuster because you just need a little bit of each color. Rainbow Pride Crochet Bracelet Rainbow patterns like this was also a reader favorite. 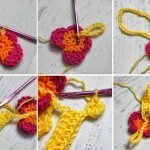 Crochet instructions are provided for three sizes and can be made for both men and women. 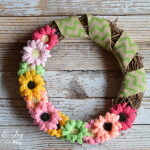 All Year Rainbow Wreath I personally love this pattern because it uses brighter colors than the original prime colors. 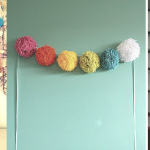 Rainbow patterns can be made with pastels, too. Rainbow Ripple Pillow Adding a pop of color to your home decor is what every home should have. 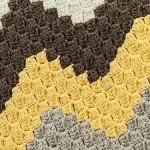 Ripple patterns are easy to crochet and this pillow is visually appealing. Rainbow Sherbet Socks This design is for those who are young at heart. 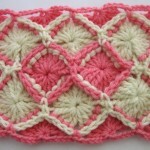 The self striping crochet design really brings the pattern to life. Rainbow Toddler Hood Little kids will love this hood because of the bright colors. Spring fever will quickly die down when they have this in their wardrobe. Over the Rainbow Toddler Sweater Three sizes are provided for this amazingly cute crochet sweater. 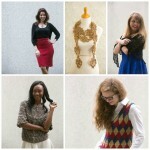 She can wear it on a chilly spring day; and best of all, it’s an easy pattern to work up. What are your favorite rainbow patterns to work up?